Food. Something that we all spend a relatively big portion of our lives mulling over. During my time as a transformation coach, I have had quite a few people asking me questions regarding food. So, I decided to write this blog post to help you all out. Most of you want to know what I eat, how I maintain my physique, how I eat when I go to a restaurant and how I manage to maintain just being healthy in general. If I am honest, there really is no secret recipe or magical diet. 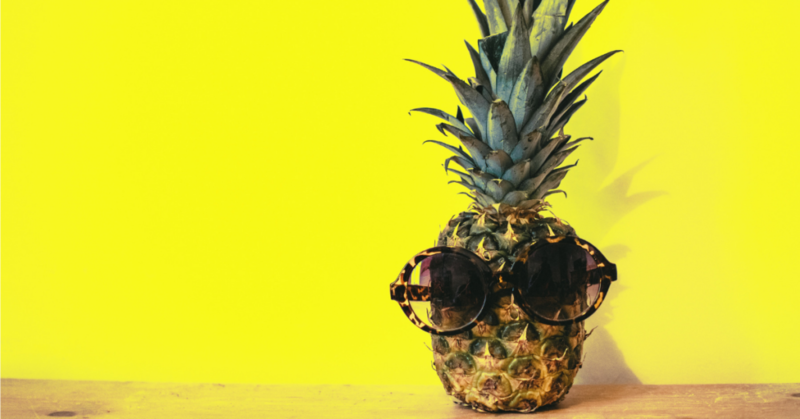 Discovering what you like and what works best for your body is not an overnight ordeal, however, with some helpful tips and information, you can get closer to this point. I won’t lie to you though. It’s not an easy journey but it’s definitely one that you can make enjoyable, IF, you know the facts. I am quite far into my wellness journey now. Yet every day I am still learning more about nutrition and my body. It’s a lifestyle, and a continuous learning curve because our bodies are forever changing, evolving and morphing according to the lives we lead. Therefore, what you eat needs to match the way you are living and be able to nurture and fuel your bodies adequately. The main thing is that you set your intention first before attempting any kind of lifestyle change. Through previous experience, the last thing you want to do is enter into a ‘crash diet’ or some crazy weight loss scheme. Your focus should not be on losing weight or gaining a bunch of muscle. Food will quickly become a problem in your life. An extra headache that you do not need because you’re stressing about every last calorie or whether or not it’s going to make or break your new health goals. I want you to see food as your solution instead. It should be a joy in life and something that tickles all your senses making you look and feel amazing. Trust me, if you play around too much with your eating routine it becomes one big hormonal mess and when that happens it’s quite a challenge to reset your body to its original state. So, if you want to eat well, enjoy it and still look good. Pay close attention. When I started my fitness journey, my top goal was dropping weight and losing body fat. At first, I thought this meant eating anything that was considered ‘healthy’ and nothing that was considered ‘junk food,’ What I didn’t realise is not all food is equal. If you’re eating a lot of avocados, paired with sweet potato fries and full cream Greek Yoghurt with a gluten-free and everything free brownie for dessert. You’re going to be eating a pretty energy dense meal and if you’re not burning that energy, it’ll translate into weight gain. This doesn’t mean you should eat a McDonald’s cheeseburger instead, because it’s fewer calories, It means that even though something is healthy you should still be mindful about your portions. There may not be a secret recipe, but there are key principles to eating well that can really help you achieve the results you desire. Don’t be foolish and find yourself binging on a Vegan dish or Banting friendly meal thinking it’s going to make you lose weight. Some of those dishes are just as, if not more, calorie dense than eating a traditional meal. No matter what you eat, the only way you will notice a difference in your body whether it is to gain, lose or maintain is being in a calorie deficit. A calorie deficit is the only way that I saw real results. You can train as hard as you like, but what you put into your body is what is going to make the most difference. The first thing you need to understand about food is that it really all comes down to your current state of health and energy going in versus energy going out. Having said that, this doesn’t mean that a calorie is just a calorie and you should disregard eating healthy foods entirely so long as you’re eating in a calorie deficit. What you need to establish is a happy balance between the foods you like, the ones that you need and the ones that provide you with healthy nutrients, antioxidants, vitamins and minerals. The only way to make this sustainable is through portion control and building a basic understanding of the concept of calories. Having a basic understanding of calories can help you make mindful decisions about your portions. This is the first step to getting results. The second step is to understand the importance of eating food that makes you feel good and listening to your body. If eating a large bowl of pasta and cheese sauce tastes good but makes you feel stuffed and bloated leaving you uncomfortable – then why do you continue to eat it? Instead, research a lighter pasta dish that includes some fresh garlic, tomato sauce, fresh basil and a sprinkle of parmesan cheese. LISTEN TO YOUR BODY! It always knows best. If it’s cramping after you eat there is a reason why. It doesn’t like what you are feeding it. If you’d like to calculate how much you need to eat according to your goals then use this calculator as a rough guide. If you’d like to boost your health goals then I would highly recommend getting my Jump Fit Fat Burn Starter Program and the Jump Fit Starter Kit that goes with it. Exercise is crucial to developing cardiovascular, muscle, weight, stamina, strength and mobility health. It is also vital for improving your moods and concentration levels. However, when you’re eating the right foods daily, you will be able to maintain a body that functions optimally throughout the day without energy slumps, spikes in weight, poor exercise performance and mood swings. That’s why I am sharing some of the healthy food I eat in a day to help you with your journey. But everybody is different and requires a different amount of energy in a day depending on their activity levels, hormones, allergies and goals. Your diet must be flexible enough to cater for change as well because let’s face it, life happens! 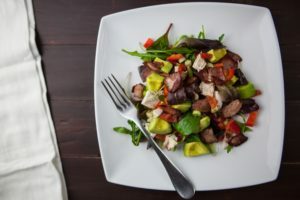 If you’ve ever attempted to follow a rigid meal plan then you would know how challenging it can be to stick to when your life is going through some turbulence. 9 times out of 10, I choose to eat more or less the same or very similar kinds of meals most days of the week. This is because they are easy to prepare. I know more or less how much energy they contain and I know how to shop for them whilst living on a budget. I also highly recommend being flexible with your food choices. For example, you might end up leaving your whole life to live in a really simple area with little access to fancy vegetable stores or Woolworths and Checkers. You might end up living like an islander on the coast of Kenya. But hey, you’ve still got to eat – so make it work! So, if you can’t find something like Himalayan pink salt, just use normal sea salt. If you can’t find kale just use spinach. Same thing! And if the thought of eating avocado instead of a bun for your burger or cauliflower instead of rice makes you want to die, then don’t do it. Eat the rice and eat the bun. But, be sure to keep your portions in line with your energy deficit and try to opt for brown rice or wholewheat/grain buns instead. Try my 6 -Pack Abs in 7-minutes workout. Subscribe to keep up with my Skyezee workouts and tutorials. Yes, that’s quite a mouthful. But it’s true. I only eat fresh whole foods, nothing processed, nothing packaged in a box and most definitely nothing from a fast food chain. However, I only converted to a fully Pescatarian diet about a year ago. I also don’t drink any alcohol anymore. To be honest, this was the game-changer and gave my fitness goals and energy levels the boost they needed. I am now filled with energy to be more active, I wake up earlier and accomplish a lot more since I gave up drinking and partying. Don’t be silly and force yourself to become like me. If you enjoy the odd drink now and then and some red meat – then have both. Do what works for you! However, eating fish and no red meat makes me feel good and works best for my lifestyle and personal health. I always try to fill up the majority of every plate with mostly vegetables, then the rest are sides. So, if you feel like pasta, bread or cheese have it. Just retrain your mind to see it as an addition to your meal rather than the main course. Unless you’re trying to gain weight, then things will be different. If you’re maintaining or losing bear this in mind. I then like to have a handful size portion of some kind of protein and two thumb sizes of healthy fat and then finish the meal off with fruit. More importantly, when I eat this way I am very creative with how I prepare each meal. This means that I do not always eat a big bowl of vegetables. (Although I do love to do this.) And, pair it with rice and fruit. What I’ll do is blend up some cauliflower and potato mash, steam some red snapper and grill big pineapple slices with a tasty coconut sauce. Most of the meals I make are quick and easy and because I am pescatarian I eat mainly plant-based so I graze a lot throughout the day in order to get in enough calories. You see, when you eat more plant-based you need to eat a lot more to equate the same amount of calories you’d usually get in just one or two traditional Western meals. I make breakfast my most calorie dense meal, lunch my second and dinner my least and then I snack in between. I love to snack on food like raw nuts, peanut butter (lots of it! ), fruit, Greek yoghurt, sunflower seeds, carrots, and sometimes cottage cheese or a slice of Mozzarella. If I am craving something sweet then I’ll freeze bananas, berries or grapes. I’ll snack on those or add them to smoothies or my oatmeal in the mornings. You can also blend this up and make your own sorbet or banana ice cream. It is the best! I also ALWAYS buy dark Lindt chocolate (90 percent or more) and eat a block or two in the evenings to satisfy my chocolate craving after dinner. Lastly, I do not eat sugar and if you go long enough without it your body stops craving it. Instead, I opt for naturally occurring sugars in fruits and vegetables or raw honey. 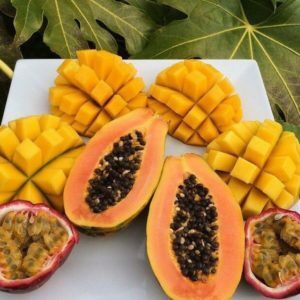 Often I will include mango, pawpaw, pineapple, apple or berries into my food to give it a sweet taste. 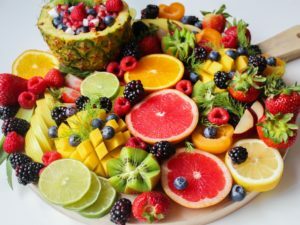 I eat quite a tropical diet now because I have access to copious amounts of fresh vegetables, whole grains and fruits. I’m also entirely Pescatarian. So I eat seafood, tofu, nuts, legumes, beans, and moderate amounts of eggs and Greek yoghurt for protein. I also eat A LOT of carbohydrates much to your surprise. When you eat predominantly plant-based you end up eating a diet high in carbs, low in fat and moderate in protein. However, these carbs are the complex types and not the simple ones. Most vegetables and whole grains are very carbohydrate dense. So, if anything, do not be afraid of carbs! Our bodies require them for energy. The only aspect I have to keep tabs on is my fat content. This is because I don’t get much healthy fat from the major portion of my diet. I have to ensure I consciously incorporate it into my meals. Otherwise, I will forget and accidentally mess up my hormones. Therefore, I add some olive oil, peanut butter, coconut, flaxseeds or avocados to my most of meals. Getting enough healthy fat is extremely important to your health. It’s what keeps us alive and our hormones in check, so do not run away from them either. I wake up every morning between 5:00 and 6:00 a.m. depending on my energy levels. I start each day with a mug of warm lemon water and a shot of apple cider vinegar. Then, I make a cup of black coffee. I then dedicate the next 60 – 90 minutes of my morning to ‘me-time,’ working out, meditation and/or Yoga. This depends on how hard I’ve trained the day before. I will decide whether or not to focus more on restorative practices or intense ones. I love to keep exercises dynamic. Moreover, I try to switch up what I do each morning depending on my mood. If I don’t feel like jumping around I’ll just do some slow Yogalates and meditation instead. Other times, I’ll feel revived and hit a dumbbell workout. After this ‘me-time’ I will either prepare myself a bowl of homemade oats, whole wheat bran, sweet potato porridge or a smoothie. It’s very rare that I eat an egg or toast for breakfast. 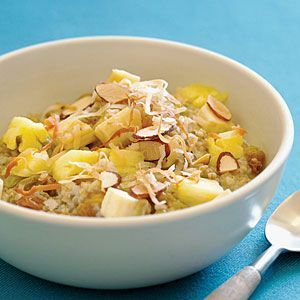 Bring a pot to the boil and add in your oats. Turn down to low and allow them to simmer. Be sure to add your seeds in and then right at the end add in your powders. Cook for approximately 8-10 minutes. Then serve and top with your fruit, peanut butter and yoghurt. I personally love steaming my vegetables. So I choose to steam my chopped zucchini and pepper in a colander over a boiling pot of water covered with a lid for approximately 5 minutes. I also enjoy grilling my pineapple for a sweeter, warm taste. 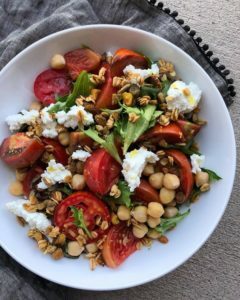 Put everything in a bowl and drizzle the olive oil, garlic, apple cider vinegar and seasonings over the salad at the end. This is usually where I’ll incorporate some fish into my meals. It doesn’t always have to be the most expensive fish either. However, I am lucky enough to have access to affordable fish straight from the ocean because I am based on the coast of Kenya. My favourite is Red Snapper. 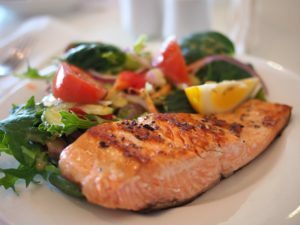 If you’re in the city you can try tuna steaks, salmon or trout. If your budget doesn’t allow for this, then canned tuna, frozen hake and haddock are perfectly fine too. If you do not have red snapper, you can replace it with another kind of fish, chicken breast, red meat, beans, legumes or tofu. Bring a pot of water to boil and add your rice. Once your rice is cooked, combine the fruit and yellow pepper with a dash of turmeric and garlic. Season your red snapper with freshly squeezed lemon juice, herbs and spices in a bowl. Then place under the grill for about 8 minutes. Whilst this is cooking, put your veggies onto steam until soft but crunchy. Season as you like and enjoy! Quick and easy. Then, as mentioned before I snack regularly throughout the day in between meals. 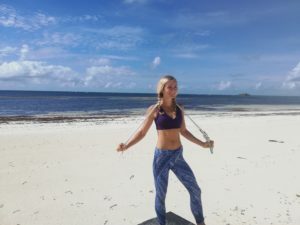 If you’re ready to make a lifestyle change that’s fun, sustainable and effective then I’d strongly suggest you try out my video-guided Jump Fit Fat Burn Starter Program. Ladies and gentlemen! Don’t forget the importance of wearing gym clothes that make you feel good too. 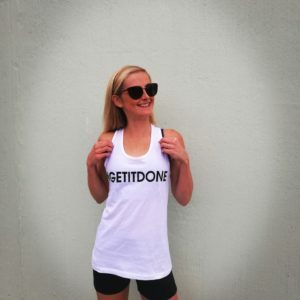 I prefer to workout in style with my #GETITDONE shirts and leggings. 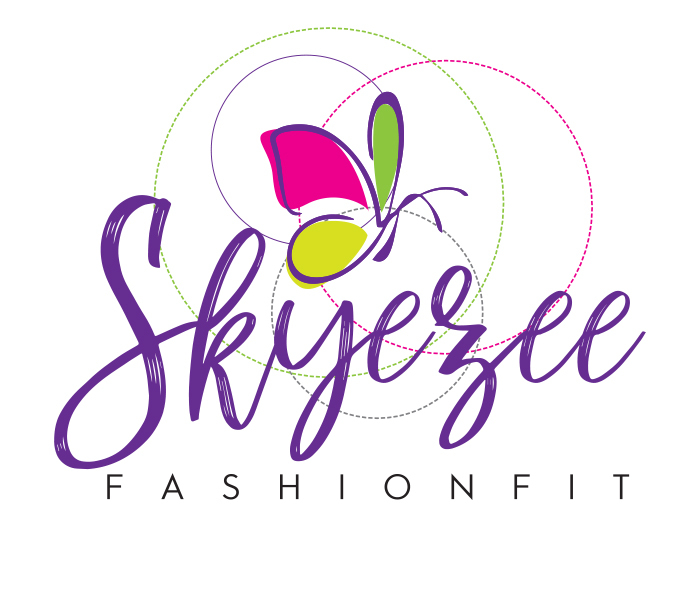 Founder and Co-director of Skyezee FashionFit. Transformation Coach Wellness Content Producer, Professional Jump Rope Coach, YouTube Fitness Vlogger, Yogi, and Budokon Mixed Movements Enthusiast. An adventurer at heart. I am on a mission to make getting fit, staying lean and burning fat a fun and dynamic experience that is easy for anybody to do no matter where you are in the world. Jump Rope. Explore More. Have Fun.